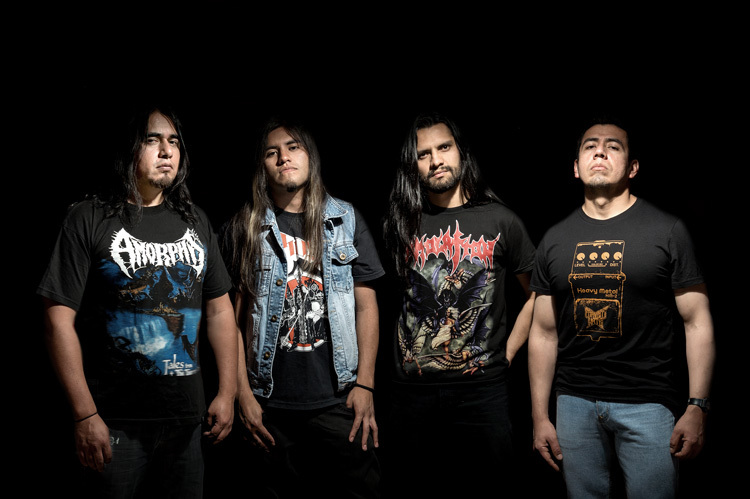 Fervent Hate - death metal band from Arequipa, southern city of Peru (South America), created in 2008 with former members of Crimson Death and Legion Sacra. The band played live for the first time on February 16, 2010 and then opened for bands like Hirax, Monstrosity, Onslaught, D.R.I, Destruction, Mortem. Their first album was released in 2013 called "Roads Of Insanity" subsequently performed in Chile and Bolivia. In 2015 they released "Diablo" EP, showing a more solid line-up and sound than the first album, and an impressive art. At the end of 2017 the band finishes the production of their second album called "Tales of Hate, Lust and Chaos", which was mixed and mastered by the swedish legend Dan Swanô. Carlos "Kanu" Delgado � bass, vocals.